Don't miss out on this opportunity to own in the sought after community of Bartram Oaks! YOU OWN THE LAND so no rental fees for land and you won't find a less expensive HOA than here. This is a very affordable home in a spectacular area close to St Johns River. Beautiful trees throughout community, 2+car driveway in cul de sac area of neighborhood. 3 bedrooms plus a bonus room/office. Brand new neutral carpets and flooring throughout. 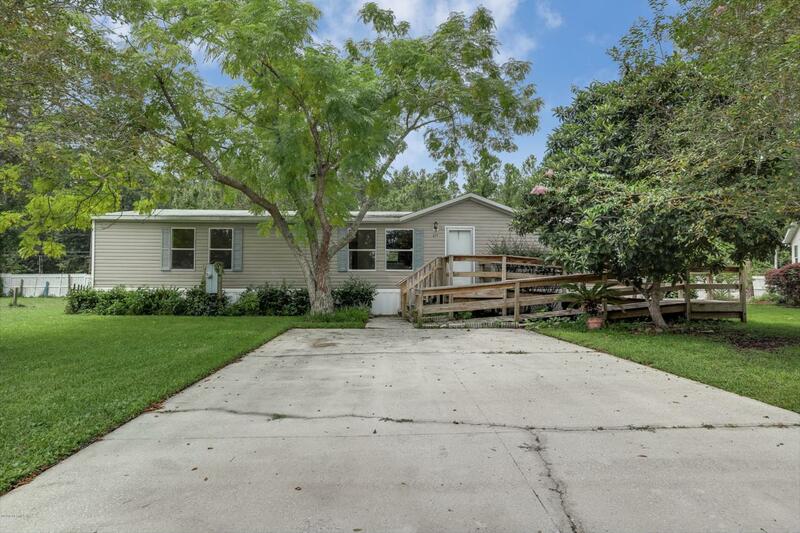 Good home for retired, vacation, family (top rated schools) or investor wanting to rent. Deck on front has handicapped ramp on entry. Nearby Trout Creek Fish Camp offers boat launch or fish off the dock, canoe, kayak and picnic area plus has bait shack, fuel and snacks too!